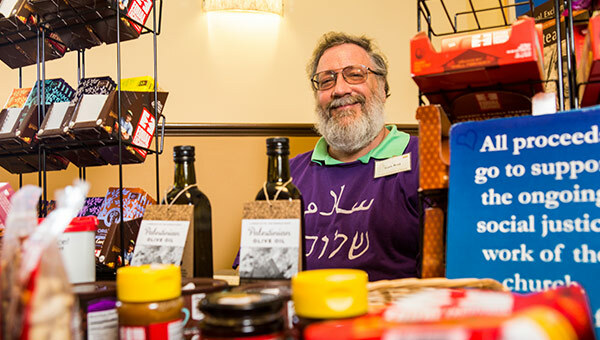 Started in 2004, the UCC Fair Trade Project allows your congregation to partner with the United Church of Christ and Equal Exchange in building fair trade for small farming communities by serving fairly traded coffee, tea and cocoa, and chocolate, snacks, and olive oil for justice at fellowship hour on Sundays. This project is a way for your congregation to join hands with communities in the developing world. As Christians we can address a consumer dilemma by buying coffee and other commodities that are fairly traded. Through the project, small farmers and their families gain more control over their lives, earn a fairer share of income, have access to credit and technical support, and gain a trading partner they can trust. 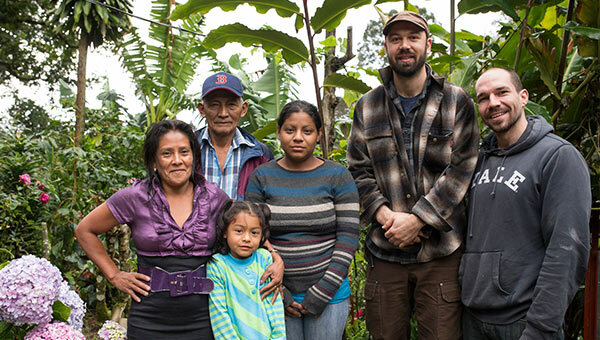 Members of your congregation can learn about consumption habits that support small scale farmers and workers throughout the world and encourage careful stewardship of God's creation. At fellowship hour, you will be taking action in a spirit of love. 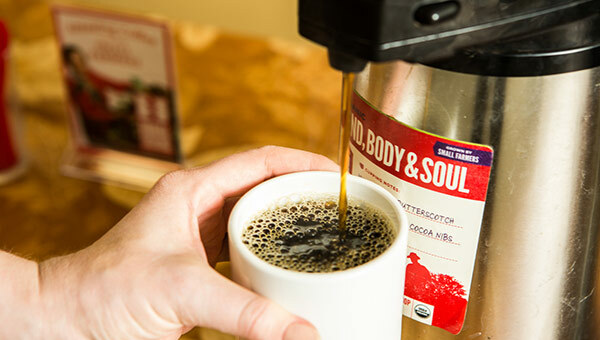 Through the UCC Fair Trade Project, you get access to Organic, fairly-traded products at discounted wholesale case prices, ensuring that more of the money you spend on coffee and other products reaches the hardworking farmers who actually grow them. The UCC works with Equal Exchange to bring you high-quality coffee, tea and cocoa products — always paying farmers fairly. You can order over the phone, or by making an account for your church on our web store. Make sure to select "UCC Project" from the "Coffee Project" drop down menu during registration — each purchase you make earns credit for UCC Justice and Witness Ministries. And you'll save every day when you order by the wholesale case as well as accumulate rewards as part of the program. There are many ways to share these delicious products at church and in your community. The Vision of Justice and Witness Ministries is a just, compassionate and peaceful world that honors all of God's creation. Their mission is to speak and act prophetically through community mobilization, leadership training, issues education, public witness, and public policy advocacy. 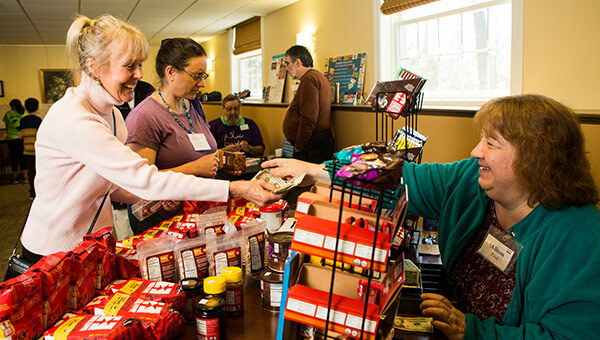 Equal Exchange contributes $0.15 to the UCC Justice & Witness Ministries Small Farmer Fund for every pound of fairly traded products sold through the UCC Fair Trade Project. Since the Project began in 2004, Equal Exchange has over $100,000 to the UCC Justice & Witness Ministries Small Farmer Fund. Small Farmer Fund contributions totaled $4,585.25 in 2018. This money is used to support the Small Farm Project at the UCC Franklinton Center at Bricks. This is one component of the Just Food Project which supports a farmers' market held at FCAB where local small farmers sell their produce and local residents purchase affordable fresh vegetables and fruits. FCAB is located in eastern North Carolina in an area where many people are in poor health, experience food insecurity, and have poor access to healthy foods. 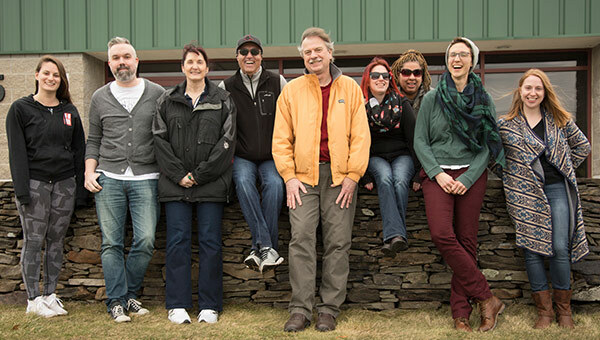 The Small Farm Project is part of a comprehensive approach to community economic development, environmental education, social justice, and health. Order UCC Fair Trade Project brochures, stickers or posters. Want information about how you can get involved with Equal Exchange and the United Church of Christ Fair Trade Project? We’ll send you an introductory mailer, and add you to our biweekly newsletter to share farmer stories, updates, and coupons.